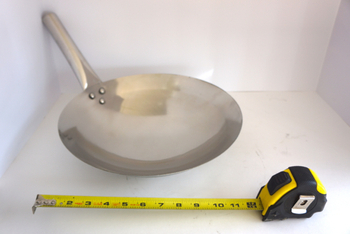 SilverFire® Stainless Steel Wok! 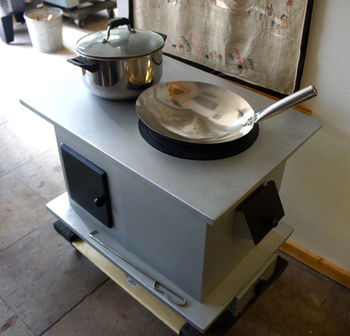 It fits the Survivor, Hunter, Super Dragon, and all of our larger stoves: Fire Dragon, Water Dragon, Mongolian Dragon, Biomass Boiler This quality custom SilverFire stainless steel wok can be used on allSilverFire® Clean Cook Stoves, or any stove that can accommodate this size cookware. 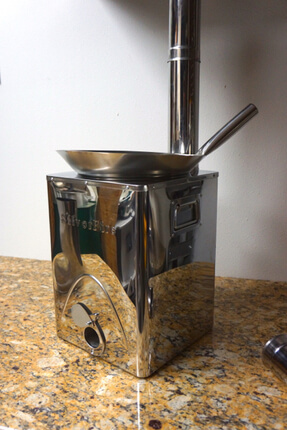 It is not designed for our small footprint Scout backpacking stove. 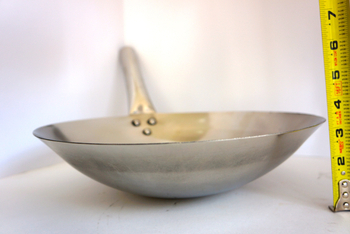 This sale is for the wok only. Any photos with stoves is for size reference only. The custom sized ss wok was designed to be used on all of our stove models and is not limited by the chimney on the Hunter stove. The diameter of cookware is a limiting factor on chimney stoves, due to position of chimney required to vent emissions outdoors. The hollow stainless steel handle is intentional, as stainless steel does not transfer heat as efficiently as most other metals. This attribute means the handle stays cool when cooking! No glove or oven mitt required. A stainless steel reflective surface is important pot & pan feature, which allows wood and biomass soot buildup to be removed easier. 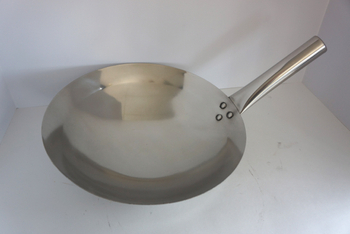 Regular steel and aluminum pot and pan surfaces are much harder to clean than stainless steel. 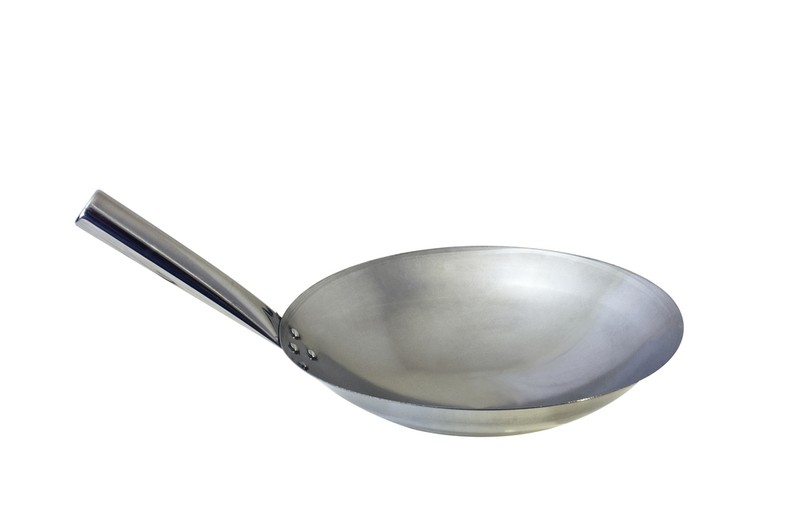 It is important to clean pots to prevent the spread of disease after cooking and to remove soot from the bottom of the pot after time if desired. Soot buildup can impact heat transfer. A clean pot transfers heat more efficiently and faster. We find that commercial spray cleaners, such as Krud Kutter and 1 paper towel is an effective way to remove a good amount of soot prior to washing the bottom of pots & pans. Tough soot buildup may require a spray cleaner and a scouring pad. Some folks add soap before cooking to reduce soot buildup too. Free Shipping charge to your doorstep, in Continental USA. Please provide street address.